The Woolly Brew: New Rico Melange sample - a poncho! 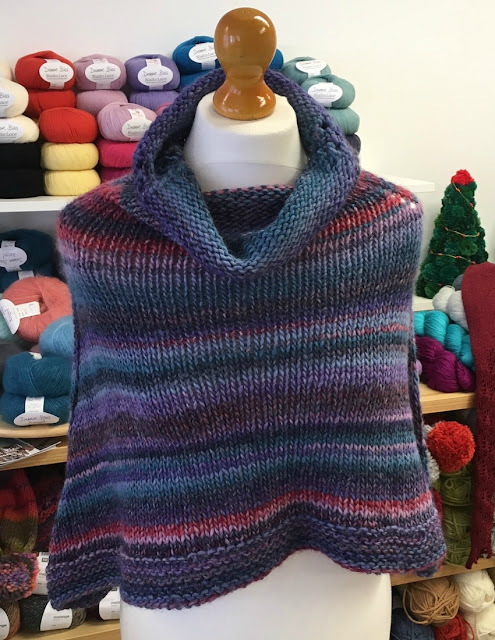 New Rico Melange sample - a poncho! Using a free pattern from Ravelry - Rosa's Caponcho - and 4 balls of Rico Melange Chunky. This is a great pattern. It's knitted in the round so it's easy to adjust to suit you. You could knit the cowl neck shorter or make it a ribbed polo neck. You could knit the body longer or shorter too. You could even add a stitch pattern to the edge. 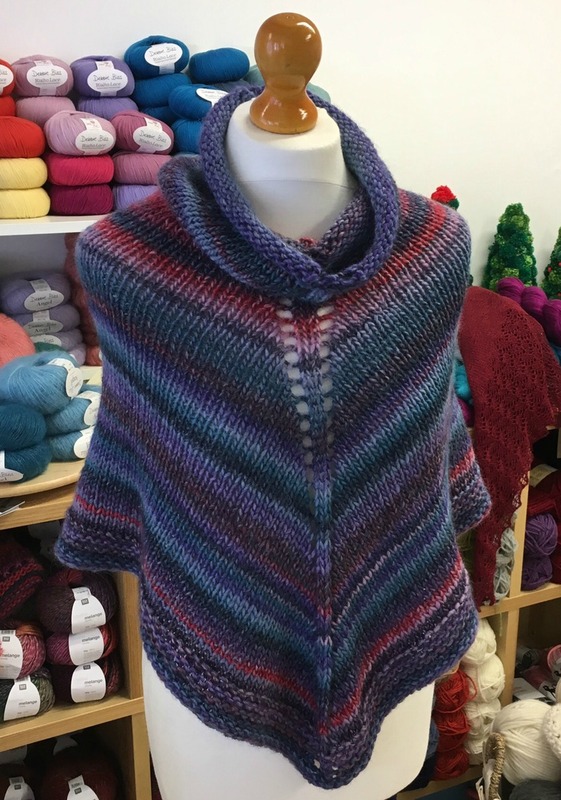 Check out what others have done on the pattern's Ravelry project page. Rather have it without the stripes? Use our DY Choice Chunky instead.